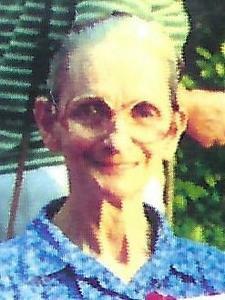 Elizabeth Jarrett, age 88, passed away peacefully surrounded by family on March 16. Beloved mother of Candy (the late Pete) Goheen, Deborah (Jeffrey) Dudlets, and the late Cathy Jarrett. Cherished grandmother of Michelle Jarrett, Melissa (Allen) Martin, Jeff (Brynn) Dudlets, Brandon Dudlets, Matthew (Klara) Dudlets, Michael Dudlets, Stephen Dudlets, Richard Dudlets, and great-grandmother of 12. Dearest sister of Adeline Haves, the late Lucas Willner, Jr., John Willner, Frank Willner, and Olive Weisz. Family will receive friends Friday, March 23 from 3-9pm at Neely Turowski Funeral Home, 30200 Five Mile Rd, Livonia (btwn Middlebelt & Merriman Rds). A funeral service will be Saturday, March 24, 11:00am (instate 10am) at Apostolic Christian Church, 19400 W. 13 Mile Rd, Beverly Hills. Please sign the on-line guest book at www.TurowskiFuneralHome.com.